As the renewal of Vatican II called for the revitalization of religious life, much of the dialogue at District and Community meetings during the late 1960s focused on revising the C.PP.S. Constitutions in preparation for a special General Chapter called in the Fall of 1969. Following the principle of subsidiarity envisioned by Vatican ii, a committee composed of members from the Cincinnati, Kansas City, and Pacific Provinces recommended that community law “previously handled on the level of the Constitutions and General Statutes will now be a matter of provincial legislation to be called the Provincial Statutes.” One of the major changes in community government supported by the majority of the Kansas City Province was reducing the term of Provincial from six years to four years. Shortly before leaving for the special General Chapter in Rome in September 1969 to revise the c.pp.s. Constitutions, Provincial Director Daniel Schaefer announced that Father Lawrence Growney, a member of the provincial council and Pastor of Sacred Heart Parish in Sedalia, MO, was leaving the Priesthood and the Community. The council elected Father Ralph Bushell to fill out Father Growney’s term. A Business Chapter was called in early 1970 to review the Normative Texts and eleven decrees which the special General Chapter in Rome approved. Acknowledging the geographical distances within the province, the Business Chapter was held in four separate locations for the convenience of the members. The Provincial Statutes were reviewed and approved by the General Council on March 16, 1971. The Province held its Second Electoral Assembly April 13-14, 1971 at Precious Blood Seminary in Liberty, Missouri. As recorded by the provincial secretary, Father Lawrence Cyr, “Father Daniel Schaefer received a great majority of the votes (93), unequaled in the history of the community, on the first ballot, and thus was re-elected as provincial director.” Father Cyr was elected vice-provincial and the rest of the council included Fathers James Schrader, Joseph Charron, and George Fey. 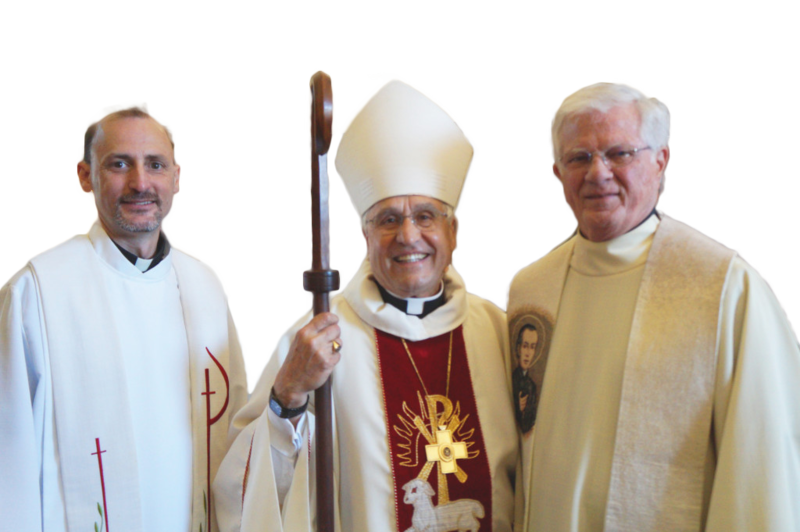 At the first meeting of the Provincial Council, Father Cyr was appointed Provincial Secretary and Father Robert Stukenborg, Provincial Treasurer. Father Schaefer’s second term as Provincial was brief: on August 12, 1971, he was elected Moderator General of the Society. Father Lawrence Cyr succeeded him as Provincial Director and each member of the Council advanced leaving the Fourth Councilor position vacant. Father Robert Stukenborg received the next greatest number of votes at the Provincial Electoral Assembly in April, and was elected Fourth Councilor by the unanimous vote of the council, with Father Ralph Bushell appointed as Provincial Secretary. The renewal of the church initiated by the Second Vatican Council that included the re-invigoration of religious life coincided with significant social upheavals taking place around the world—and especially in the United States—in the 1960s and 1970s that deeply affected the way religious life in the Society of the Precious Blood was lived. The Junior Clergy Caucus in 1968 highlighted issues such as racism in society; however the war in Vietnam and the scandal of Watergate that brought down a United States President were two major events that caused many to question their trust in government and in institutional structures in general. Issues of equality both in society and in the Church influenced the way seminarians were trained as formation directors sought to respond to the “signs of the times” and offer candidates more opportunities to enter into dialogue with the modern world. In April 1969, after much deliberation and dialogue the previous year, the Business Chapter of the Cincinnati Province voted to close St. Charles Seminary. Theologians studying at St. Charles for the Kansas City Province completed their theological training at various divinity schools, including Notre Dame University and St. Louis University. By 1972, the Kansas City Province sent their students in theology to two seminaries: St. John’s Seminary in Collegeville, Minnesota, and Catholic Theological Union in Chicago. In the first few years after the birth of the province, those attending the high school seminary in Liberty went to St. Joseph College in Rensselaer, Indiana for college level formation. But on August 17, 1971, the province rented a duplex near Rockhurst University, a Jesuit institution in Kansas City, Missouri. Five candidates under the direction of Fathers James Sloan and Dennis Schaab lived together in community while attending academic courses at Rockhurst. 1971 also marked the beginning of the Special Formation Program. Once again, sparked by the renewal of religious life called for by Vatican II, Special Formation signaled an important departure from a previous monastic model of a novitiate. Instead, seminarians would live in community at one of the Province’s parishes or apostolates. This approach sought to stress the communal and apostolic dimensions of what it means to be a Society of Apostolic Life. Father Joseph Jakubiak of the Kansas City Province was named the first director of the program.